Are you looking for a beautiful girl with a little bit of spice and a whole lot of sugar? Then I am your perfect girl! 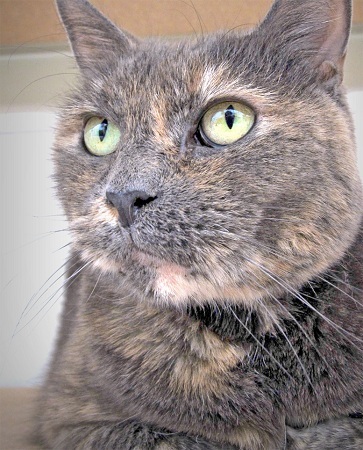 My name is a Georgie and I am a 9 year old tortoise shell looking for a great new home. Do you come home from work after a long day feeling a little glum? Not with me around! I am guaranteed to bring a smile to your face as soon as you step through the door and I come running to meet you. I am very affectionate and friendly, and have a little bit of a diva streak just to keep things lively. Do I sound just right for you? Then come visit me today at The Pixie Project. I am fixed, vaccinated and microchipped. My adoption fee is $100.